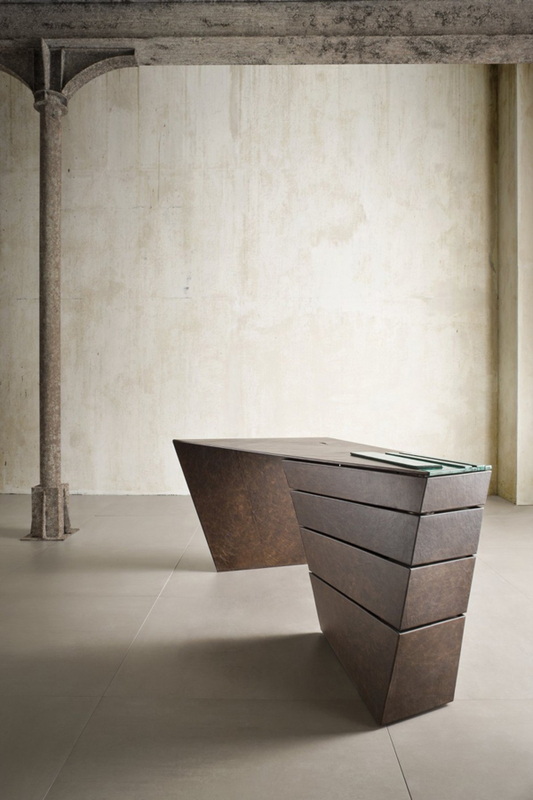 London-based Alessandro Isola & Supriya Mankad from I M Lab have designed the Torque Desk. A twisting take on a traditionally formal product. 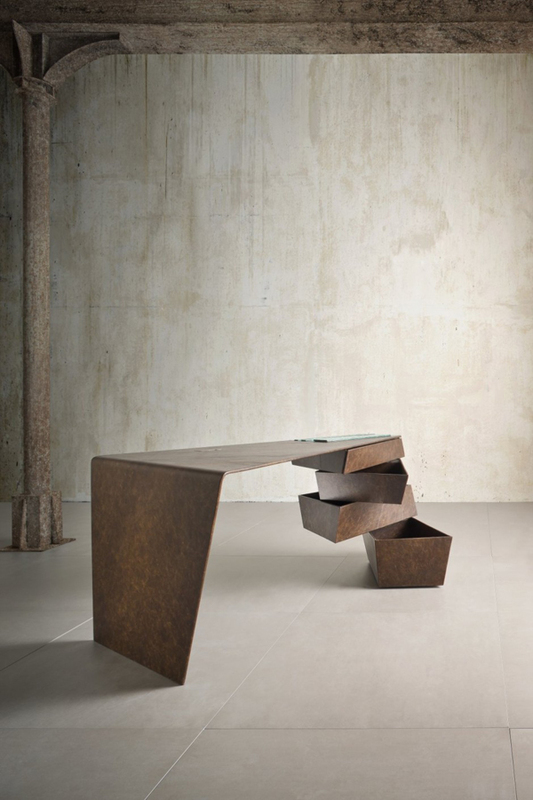 In this instance the desk has been transformed into a dynamic spatial object in tension with the straight walls of the space it occupies. 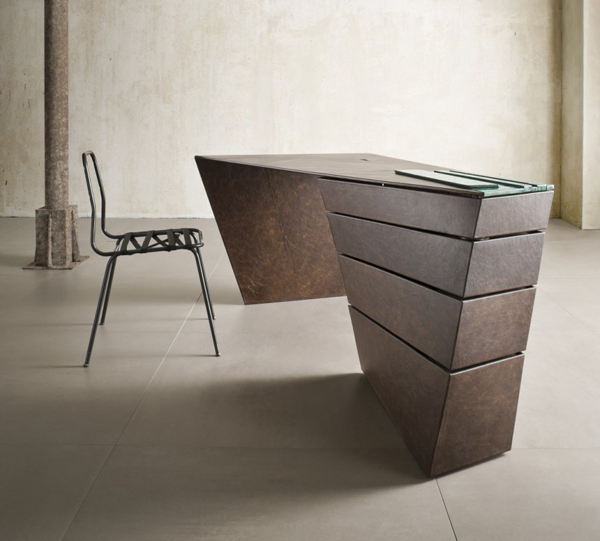 The tensile stresses require the desk to be constructed in a malleable and ductile material. Bringing together clever engineering and hand craftsmanship, all the components of the metal body are structural as well as functional. 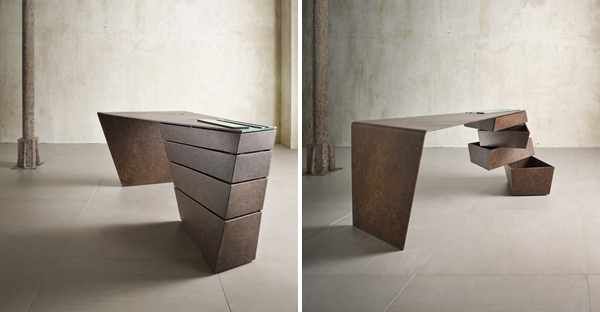 The flat plane of the desk is folded to support itself at one end while seemingly resting on a stack of drawers at the other end. 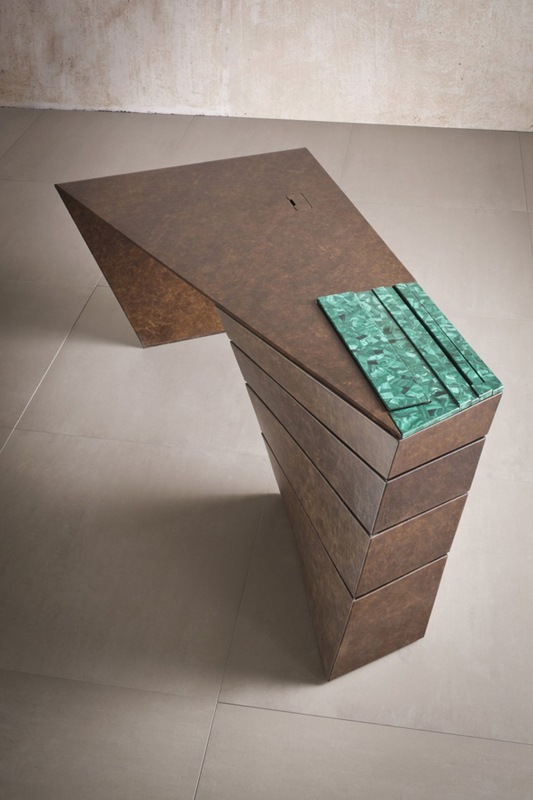 The rotating drawers are cantilevered around the spine which performs multiple functions of a support, a pivot and a cable management system connecting a floor point all the way up to the desk surface. 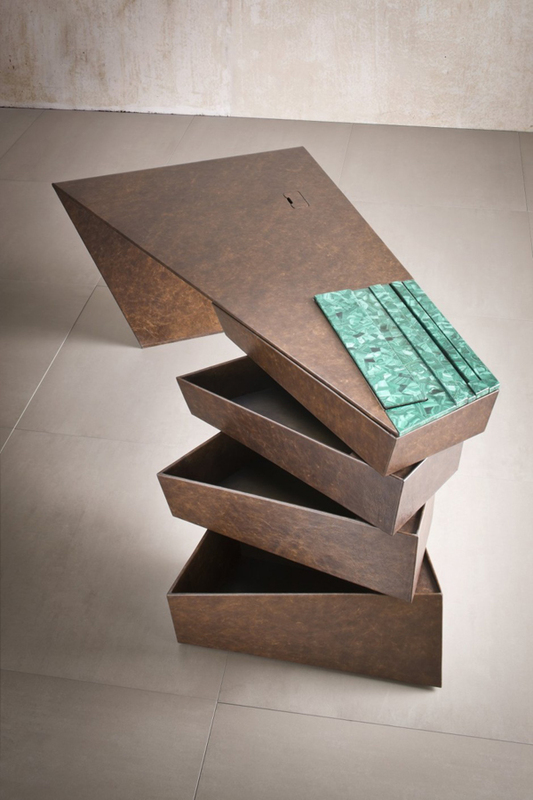 An malachite letter and pen holder completes the design.